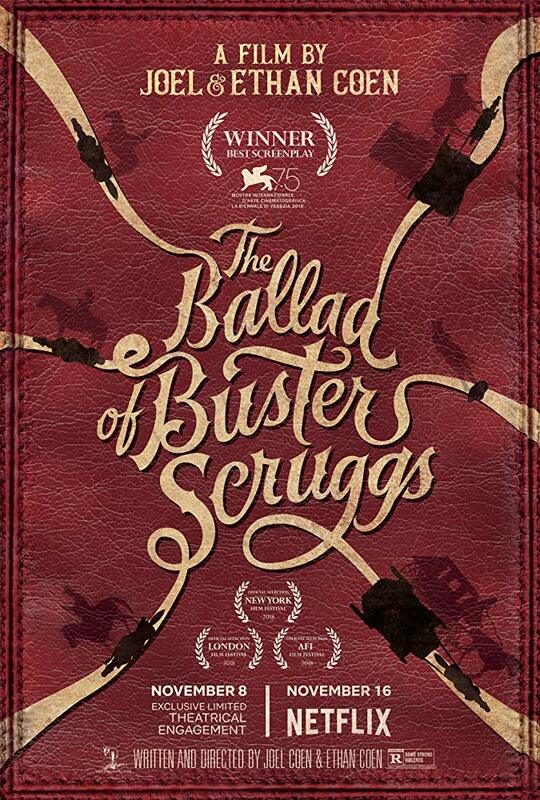 Movie: "The Ballad of Buster Scruggs"
Six short stories about the Old West involving gunslingers, bank robbers, thespians, prospectors, settlers, and bounty hunters. We love the occasional anthology film. It gives us an opportunity to enjoy many different stories and characters in one sitting that share the same overall theme or genre. The problem is, sometimes a brilliant short gets dragged down by its weaker companions. 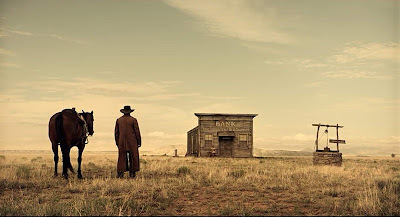 Such is the case with Joel and Ethan Coen's latest project "The Ballad of Buster Scruggs." This film tells six short stories, each of which is set in the Old West. The first short shares its title with the overall film, "The Ballad of Buster Scruggs." 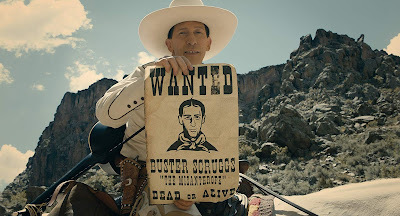 This short tells the story of a gunslinging, song singing outlaw named Buster Scruggs (Tim Blake Nelson), who may not look or act the part, but is, in reality, a dangerous outlaw. This entry is the best thing the Coen brothers have done since "No Country For Old Men," and it is one of the best movies we have seen in all of 2018. Tim Blake Nelson is absolutely amazing in this segment, which is uproariously hilarious, outrageously violent, and endlessly entertaining in just a few short minutes. If the movie had ended here, or if this story had been slightly elongated, we would have been elated. Alas, we must move forward. The second short is called "Near Algodones" and involves a cowboy (James Franco) who attempts to rob a bank, then winds up getting himself stuck in some unfortunate predicaments. This short is still one of the stronger entries in the series, but it still doesn't come anywhere close to eclipsing the greatness that is "The Ballad of Buster Scruggs." Stephen Root is fantastic as the crazy pot-wearing bank teller. 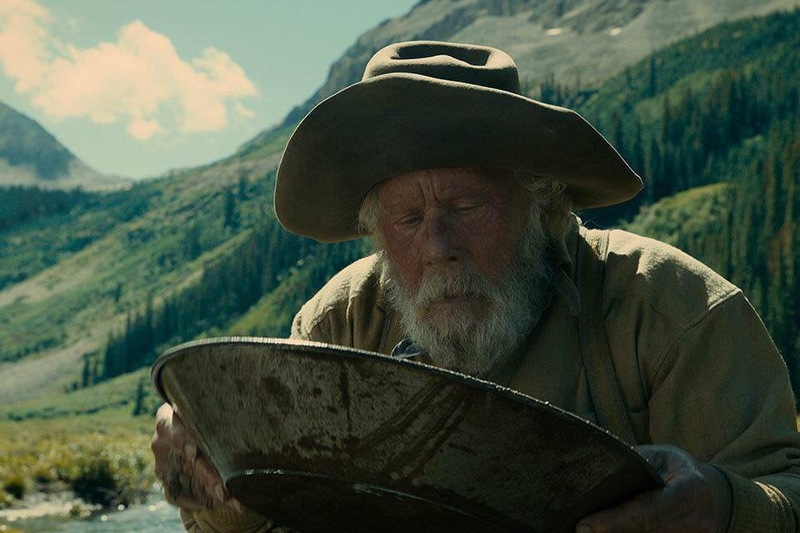 We enjoy the sense of irony embedded in its narrative, and there are some darkly humorous situations we found funny, though it's nowhere near as riotous as "Buster Scruggs." These first two shorts breeze on by, and at this point, we are still on board with the series as a whole. Then comes "Meal Ticket," where an Impresario (Liam Neeson) exploits a disabled thespian (Harry Melling), who puts on performances for spare change. From here on out, the shorts are beautiful to look at, and despite the actors putting on swell performances, the stories start to get a little plodding and repetitive right around this third installment. They lose their edge and make a major shift from "exceedingly interesting" to "pretty but sort of boring." This sentiment applies to the rest of the shorts, whether it be "All Gold Canyon," which is about a prospector (Tom Waits) looking for gold, "The Gal Got Rattled," which focuses on a woman (Zoe Kazan) and her brother who are on a wagon train to Oregon, or "The Mortal Remains," which centers on a group of strangers having a discussion aboard an unslowing carriage on their way to Fort Morgan. Though the short "The Ballad of Buster Scruggs" is what we would consider "peak Coen brothers" and is one of the best pieces of cinema to come out this year, the overall anthology "The Ballad of Buster Scruggs" would have been much less successful if it hadn't been propped up by its namesake short. The costumes are fantastic, the cinematography is terrific, and Carter Burwell's score is excellent, but some of the stories left a lot to be desired. Each entry has that distinct Coen brothers sense of style, but the last four range from mediocre to just fine, which left us struggling to get through the last 103 minutes of its runtime. We will watch this one in a year or two and see if we feel the same way over time.